Please double check your information as it will be used to activate your account and process your payments. You must keep a valid, working email address on file. We look forward to working with you. Terms and Conditions By submiting this form you acknowledge that you have read and agree to our Terms and Conditions. Please CLICK HERE to view our full Terms and Conditions page. Note: For payment via Epassporte email affiliatesupport@celebritycash.com after account activation. 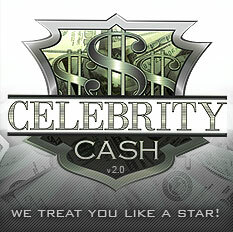 Copyright � 2006 Celebrity Cash (www.celebritycash.com) All rights reserved.